Rihanna has switched up her style. She is starting to add more classic pieces to her outfits. See her below in NYC going to a tattoo Parlor, wearing a white button-up shirt and black trousers. At last weeks Billboard Awards, she wore a men’s tailored, Max Azria suit. She looks cute in both outfits! JUSTIN & SELENA, TOO YOUNG FOR PDA?! We all know that, Justin Bieber and Selena Gomez are an item, but are they too young for PDA?! What do you guys think? I personally think that it is a bit much. He’s only 17 years old. PIPPA MIDDLETON IS BECOMING A FASHIONISTA! Princess Catherine’s little sister, Pippa, is becoming quite the fashionista. I have to admit, she does dress cute. I would wear some of her outfits for sure. 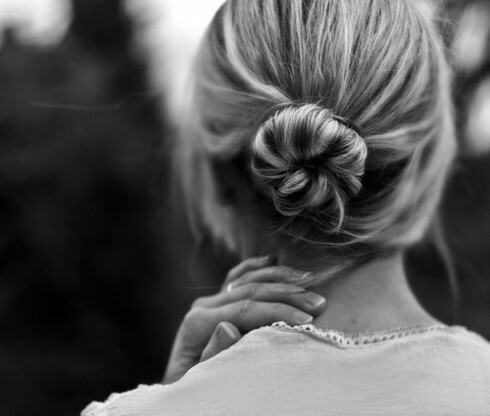 My summer hairstyle is going to be the ballerina hair bun and the top knot. It’s such an easy style and I’ve been wearing my like this when my hair is dirty.